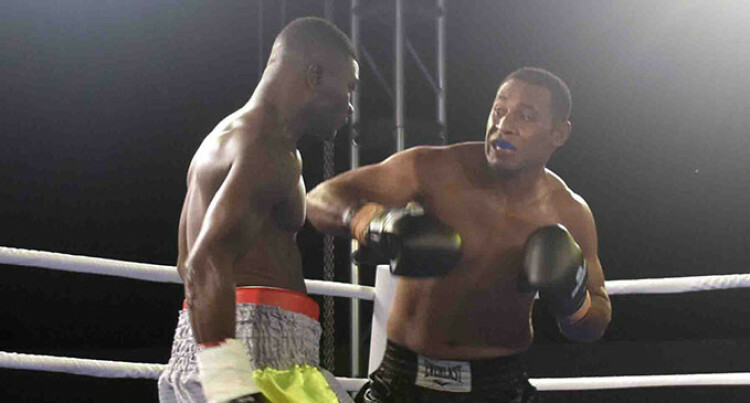 The light heavyweight title fight was stopped by the Boxing Commission of Fiji (BCF) in the sixth round due to the slippery canvas at Prince Charles Park, Nadi on Saturday Both boxers showed their disappointment with Kwadjo slipping six times, four in round two and two in round five. Sorokoba Boxing Club’s Savenaca Naliva wants a rematch with Joseph Kwadjo at the AD Patel College, Ba,in August. “I was ready for the fight but I want a rematch in Ba,”Naliva said. Kwadjo said: “I did not expect this to happen, how come we fight on a slippery carpet. When he pushes me, I get an eight count. When I throw a punch, I slip. “I am disappointed as my fans came from Suva. I have fought in Australia, New Zealand and in Ghana but never fought in this condition. Meanwhile, the welterweight title fight between Mulomulo Boxing Club’s Ronald Naidu and Buca Bay Prince Rakuro Daunivavana did not eventuate after Naidu presented a medical certificate. BCF Director Usman Ali said that the Commission will look into the case of Naidu. Fiji’s heavyweight champion Petero Qica continued his unbeaten run defeating Isikeli Navuni by TKO in round three. “It is nearly eight years since I last fought,” he said. “I want to thank my parents for their support. Even though we had some difficulties during training, I want to thank YMCA, Humes Industries for their support. “I’m going to train every day except for Sunday,” Qica said.